In 2016 a small group of families with transgender kids joined the fight against a wave of discriminatory anti-transgender legislation that swept the nation and their home state. With the help of a coalition of civil rights activists and ally lawmakers, these families embarked on an uncharted journey of fighting for their children’s lives and futures in this present-day civil rights story. 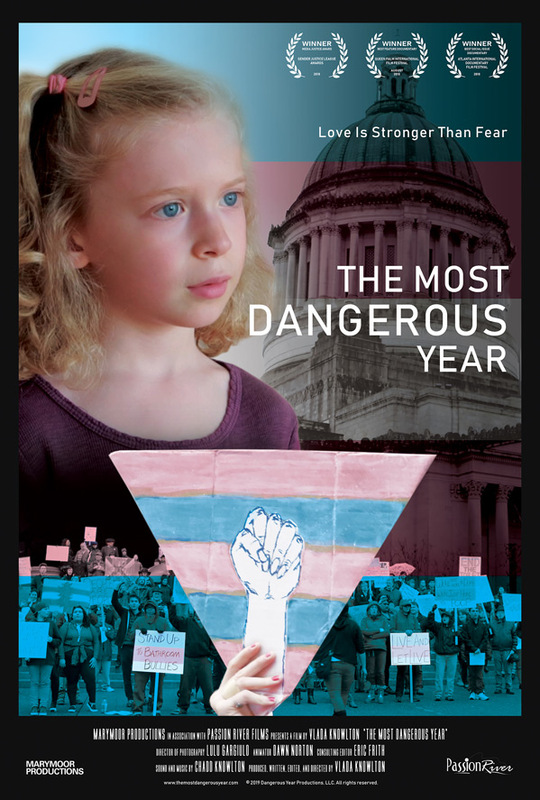 The Most Dangerous Year is directed by Seattle based award-winning filmmaker Vlada Knowlton, director of the doc Having It All previously, and a few other short films. This first premiered at the Seattle Film Festival last year. Passion River will release Knowlton's The Most Dangerous Year doc in a cinema in NYC starting on April 12th, then in LA starting on April 26th later this month. For more info on the film, visit the official website. Interested in this doc?